Improve quality through performance tracking and accountibility measurements. Fulfill maintenance requests quickly and efficiently with robust notifications and digital work orders. 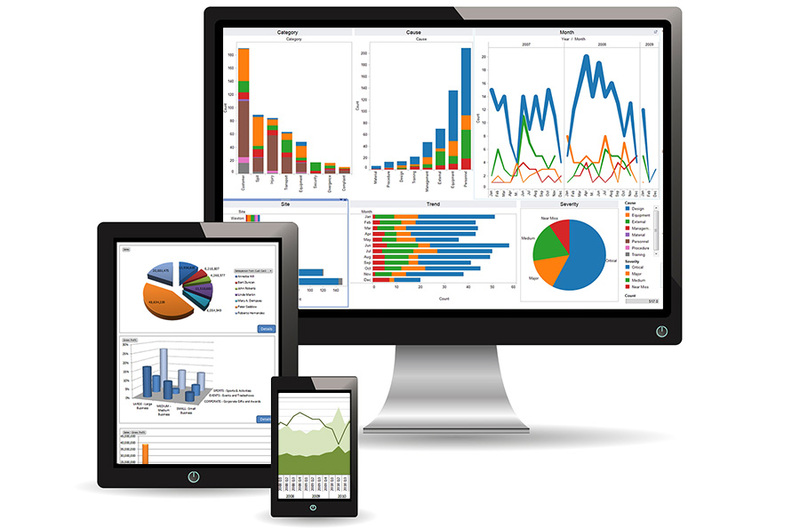 Visualize trends and create graphical reporting. Contact us to improve performance today! Fill out the form below to set up a hospitality software demo or send us a message. Vystas Software Solutions was founded with a customer first philosophy. We understand the need for better pricing, responsive quotes, quality control, timely deliveries and honest dealing. With Vystas Software Solutions, you’re not just getting a product, or a service, you’re getting both. Our software engineers work closely with you to understand your company’s unique challenges. We help you piece together data from many sources. Our technical team includes Microsoft Certified Developers, software architects, software programmers and database developers. We work closely with our clients to make meaningful sense of business data.